The Bible says it took God seven days to create the universe but a kid in a classroom today might create a workable arm or leg with a 3D printer within hours. Many schools are already using UP Plus 2 and UP Mini 3-D printers in the class room. Technology now allows students to design and produce real products such as their own custom cookie cutters and nozzles for icing cakes. In scientific laboratories, scientists should be getting an A+ soon for using 3-D printers to try and create functioning human organs as well as common or brand-named medicines. In the Journal Biotechnology in 2006 (Sep; 1(9):910-7) it was pointed out The National Patient Registry has more than 80,000 humans awaiting organ transplants of which 17 will die each day. Thomas Boland and his colleagues at Clemson University and the University of Missouri, for example, are working with 3D organ printers. They are pioneering the development of live tissue human body parts. They place various cell types into a soft scaffold fabricated by a computer-aided design template using a single device. While the scientists are using expensive 3D printers, the devices are becoming less and less expensive. You can even download instructions for making a 3-D printer and, reportedly can manufacture 3D printers for your family and friends out of own 3D printer. (. DOI: 10.1002/chemv.201300064 n.d.) .Home hobbies with the printers are becoming common. The do-it-yourselfers as well as highly trained professionals can now use 3D printing to produce cars , planes , foods and functioning guns as well as many other things. Who Knows The Potential Health Effects of 3D Printers? What are the environmental and health side-effects of 3D printing materials and fumes? Since I search for ingredients for my A Consumer’s Dictionary of Food Additives and A Consumer’s Dictionary of Cosmetic Ingredients, and my blog: consumeringredients.com, I became curious about the chemicals and powders used in 3D printers and their potential effects on human health. 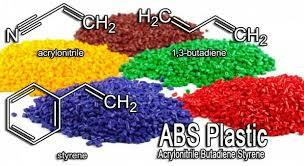 I did find acetone used to treat plastics. This chemical, a solvent for nail polish removers, glue and oils, can cause peeling and splitting of the nails and skin rashes.Inhalation may irritate the lungs, and in large amounts it is narcotic causing drunk-like symptoms. Another substance used in 3-D printing is fiberglass. Studies have shown inhaling these fibers can reduce lung function and cause inflammation in animals and humans. A study published in 2006 found that, independent of other environmental hazards and respiratory problems, fiberglass altered components of the lungs in men working in glass fiber-reinforced plastic processing. Fiberglass can cause skin, eye and throat irritation. At higher exposure levels, fiberglass also has been associated with skin rashes and difficulty in breathing. In addition, fiberglass emits a synthetic material called styrene, which is a possible carcinogenic according to the International Agency for Research on Cancer (IARC) and U.S. Environmental Protection Agency (EPA). At high levels, styrene can cause tiredness, concentration and balance problems, and irritation of the eyes, nose and throat. More information on the health effects of styrene can be found on the Agency for Toxic Substances and Disease Registry (ATSDR) website. 3D printers work by using lasers to deposit and fuse a thin layer upon layer of materials such as plastic or metals to create a solid object.3D printers, or additive manufacturing as it is also called, have gone beyond printing prototypes to printing final products ready for use such as jewelry, chairs, human jaw bones, and parts for jet engines to name just a few. Recently, Professor Lee Cronin from the University of Glasgow has taken the idea of 3D printing a step further. He’s using a $2,000 3D printer to print lab equipment–blocks containing chambers that connect to mixing chambers–and then injecting the desired ingredients into the chambers to produce organic and/or inorganic reactions that can yield chemicals, and in some cases new compounds. Just as early 3D printers were used for rapid prototyping, his new chemical printer can initially be used to rapidly discover new compounds and produce drugs in common use. The Glasgow team is currently working on 3D printing ibuprofen, the main ingredient in popular painkillers. This, of course, raises a red flag for government regulators, and it will be difficult to regulate what individuals in all parts of the world will do with access to the Internet and a 3D chemical printer. Additionally, thanks to the ability to share chemical recipes over the Internet, it is not hard to see that this will also bring specialized chemical production of all types to anyone, anywhere. In fact, in a recent presentation, Cronin mentioned that a wide variety of drugs and everyday products such as detergents are made from ingredients that are readily available, such as carbon, hydrogen, oxygen, paraffin, glycerol, and corn syrup. Powdered plaster, bioplastic, polyurethane, polyester, epoxy, metal may also be potentially hazardous if inhaled. Estimates value the 3D printing market from its current US$3.8 billion annually in 2014 to US$16.2 billion by 2018. The research about the potential hazards of 3-D printing is very sparse. The websites, http://cdn.instructables.com and http://tauman3d.com do describe many of the potential problem areas including the fumes emitted from plastic and metals including hydrogen cyanide. A significant number of the population cannot smell cyanide. Since the average home 3D printer users don’t have access to laboratory equipment to identify toxic fumes emitted by the device, it is wise to have the area in which the printer is stored and used well ventilated. Also, since some of the equipment is extremely hot, 3D printers require users to be careful of burns and finger-catching mechanical parts. 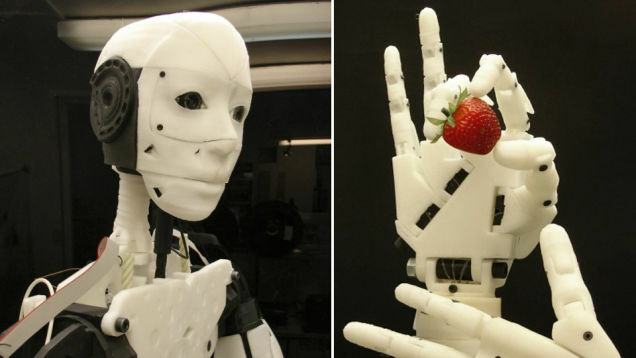 The potential of 3D printers surpasses even the most imaginative science fiction. There is little doubt 3D printers will change the world—but handle them with care, especially in the home! Next Post HOW MUCH DOES IT HURT?